Autism spectrum disorder is a life long disability that affects how a person communicates and relates with others and how they experience the world around them. There’s a lot of stigmas to people with autism. Many people misunderstand those with the spectrum. Therefore, let us join organizations all over the world on this big day ( April 2nd ) and the whole month ( April ) every year when they do autism-friendly events and educational activities to foster understanding and acceptance of people with autism. Worldwide support is done by lighting blue landmarks, buildings, homes and communities in recognition of people living with autism. In line with these activities, musicians all over the world have made and performed awesome songs to celebrate this day. We all know that music is a vibrant way of letting people learn about something or disseminating important information. Likewise, listening to songs about autism uplifts people with ASD and their families and inspires others to learn how to understand them. I have found really beautiful and inspirational songs that speak about autism. Songs that were written and performed by musicians, ordinary people with families who have autism, and even young people with ASD. Ten songs that will touch your hearts, like they touched mine, and will open up your minds to accept and understand these kids and adults with autism. Awesome songs that will teach everyone how to spread the word of love about autism, ten songs to celebrate world autism day on April 2nd and same day every year. Sit down and enjoy the videos and sing with the artist- I have written the lyrics below the videos so you can follow. This song, written and sang by Chelsea Stepp, was inspired and dedicated to her youngest sister who was diagnosed with autism at age two. She considers this song her most important personal accomplishment because the organization “Autism Speaks,” used it as promotional material, thus Stepp performed it at the annual Summit for Autism in Washington. Chelsea Stepp is a singer-song writer from Warfield, Ky who started singing when she was 3 or 4 after her parents bought her a toy karaoke machine. She started playing the guitar since she was 14, not really serious at first, but with constant practice, got better with her craft. She auditioned for ” American idol,” when she was a teenager and won ” Big Sandy Idol,” an Eastern Kentucky-based competition. Here’s the inspiring lyrics, which spreads autism awareness and how we need to acknowledge that kids with autism are misunderstood a lot because they can’t express how they feel. Cassandra Kubinski, the singer/songwriter, wrote this song for her friend Vanessa, who had 2 boys with autism spectrum disorder. She learned that this family had to overcome challenges, red tape and judgement to get education, after school programs or just collect information. Their goal is to raise awareness and solicit funds for autism programs and services across the UK, US and Canada. Listen to this beautiful song and follow singing with the lyrics below. Inside I’m calling out your name. So don’t say that I’m in the dark, ‘coz you can’t see my light. It can be hard I know. we just need to understand him, and guide him to overcome his fears. The lyrics are so powerful. Sing along with Scott James and feel how an autism person feels, so you can see the world through his eyes and be more accepting of his world. It’s not quite the world you see. Lyrics and music by Scott Evan Davis, in collaboration with the students of p94 Spectrum school. Performed by Ilan Galkoff, 12 year old, who said, ” I am not autistic but I chose to sing this song because I love the message in it. world what you can do. Check out the lyrics and sing with Ilan. And they would see all that I have in me. Rodriguez has a son who was diagnosed with autism at 3 years old, and was already 18 and high spirited when he wrote this song in 2014. The first line, ” I look at you with your angelic face, ” was inspired by the photo of his son when he was 3. This moving song is dedicated to children, parents and people who are living with a unique life experience, which maybe different and misunderstood by others. Yet given the chance you can be so much more. Still step by step each moment is brand new. Just be yourself, no matter your age. This is your time take it! Tommy was in his 20’s when Anthony, his cousin, was diagnosed with autism. His parents brought him for stem cell treatments and gradually he improved and became more verbal and was able to go to school. Anthony has been a source of great joy for their family and he was nicknamed “Unstoppable Anthony” ( thus the title of this song ) because of how he can change people’s lives-with random hugs to strangers in restaurants or jumping on their laps with a laugh and a big,wide smile. Tommy thought of some of the song’s lyrics and melody while on his way home on a train and he went to visit Anthony the next day where he asked his sister, Isabella, also Tommy’s god daughter, who was 7 at that time, to help him finish the song. Isabella got her crayon and paper and wrote the lyrics and was done after 25 minutes. Anthony’s dad also helped in the chorus part and reminded them about how he communicates. They hope that this song can be a voice for people with any disability, including autism. ” I know you get frustrated, trying to tell us what you want to say. I know it’s not easy for you, but that’s okay. When you go through hard times, you’re not by yourself. We don’t like it either and all we want to do is help. We see the words in your smile. We see the joy right in your eyes. When something in your world goes wrong. Life is one big ocean, waiting there for you. Don’t be afraid of those waves, just jump right through. We all believe you can fly, if you really want to. Just remember you can do anything that you want to do. This song is sung from the point of view of a child with autism as he communicates with a loved one. That he wants to reveal himself as he tries to find a way to show who he really is and all he needs is acknowledgement that he is just here and just wants others to see the world through his eyes. ‘Cause that’s the way life’s supposed to be. This song encourages everyone to do their part in helping families with the overwhelming task of raising a child with autism. I promised him to find the reasons why. To help them make it through. But it’s up to me and you. Please make them strong, where they are weak. The missing piece is me and you.. This is an ode to mom through the eyes of an autistic child, how the kid feels his mom’s unconditional love. You showed me how I didn’t need to be more. I just see things a different way. But you know what’s behind these eyes, mom. A mother’s love is what showed me. That’s when they will see the colours, too. Like a band of colours. This song was created in 2017 in collaboration with Oxford band Low Island. It was written by Low Island’s Jamie Jay and Carlos Posada. It was performed by staff and young people with severe autism from Prior’s Court, a specialist residential school in West Berkshire. Most of these young people are non-verbal with severe challenges. This song ( with the lyrics below) is so moving and is proof of the achievements of the young people at Prior’s Court and how they shine with the support of their therapists. There you go, I hope you enjoyed the songs as much as I did. If I have touched a person’s heart with these songs, then I am happy that I am able to participate in the celebration of world autism awareness day on April 2nd and for the years to come. In putting out these songs I know that I am fulfilled and inspired to show how to spread the word of love to people and kids around us with autism. After all, they just need our understanding and acceptance. Do you have somebody in the family or anybody that you know who have autism? Which of the songs remind him or her to you? How To Enjoy Spring Break… Ten Activities Which Will Get Everyone Excited! I’m sure our kids are excited of their one week spring break, including our special kids. This is the week that they can sleep later than usual and wake up later as well. One week of no homework, no time set for bedtime and waking up, nor studying for exams. If you have vacation days, you might want to apply for vacation, too, so you have lots of time to bond as a family. This is like mini-summer, even if it’s only one week, if you plan to make the most of it, it’s all worth it. So, have you planned on how to enjoy spring break with your kids who will be out of school for the week? Skip the laundry and ignore the mess in your home. Just go and do fun things with your family and your special child. There is no better time than bonding as a family by doing any or all of the following fun activities. How to enjoy spring break…plan on doing any of these 10 activities to get the kids excited. If you are stay at home parents, you can go to the pool and swim anytime, but if you are working, after-work would be fun as well. Aside from fun, swimming is a good exercise for everyone, too. This is the perfect time to head to the library and borrow lots of books and DVDs or CDs. For kids who can read, they will enjoy reading book after book after book. 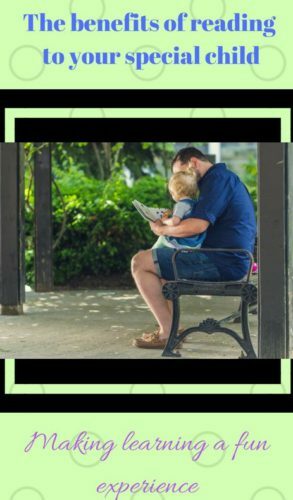 If your special child cannot read, reading to him is the perfect bonding time for you both. You can all read while in the library and read at home with the borrowed materials or watch the DVDs at home before bedtime. Or you can buy these books online to stock up for your kids to read or for you to read to your special kid. Click the images to see the price. You can go to the cinema as a family and eat out after the movie date. 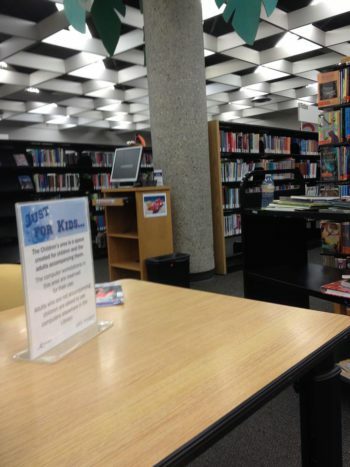 But if budget is tight, watch old movies at home in Netflix or the YouTube or with the borrowed DVDs from the library. Or you can buy cheap DVDs from the mall. You will enjoy just the same. As long as the family is together, that’s all that matters. If your special child loves to eat, give him cooking lessons in your kitchen of the food that he likes to eat a lot. Let him help prepare the ingredients and mix together the food in the frying pan. Start with simple recipes like make sunny side up eggs, make a hamburger patty, make a pizza from scratch, or bake cookies. After cooking, let him help wash the dishes and clean up the mess in the table. This way, he learns how to be responsible. 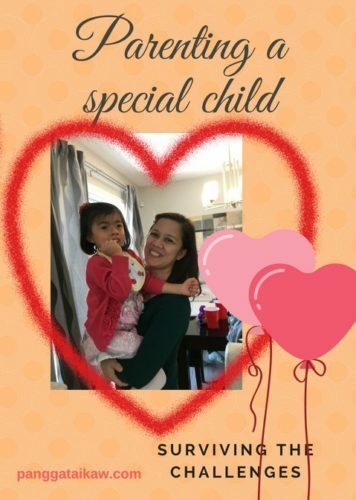 You can let your special child do some coloring or make some cards that you can give out later on like for somebody’s birthday, etc. 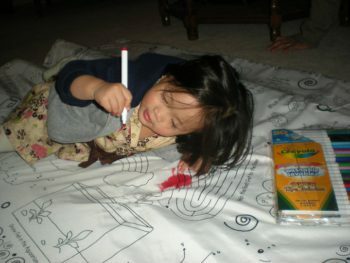 If your special child has talents in drawing or coloring, he will really enjoy this fun activity. Or if he is not into art, this is the best time to introduce him to drawing and coloring. Bring him to the dollar store and let him choose the art materials that he wants including the coloring books and crayons or colored markers if you don’t have these at home. 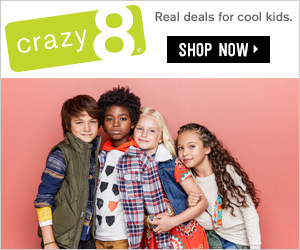 If your special kid is a girl, she might want to do some crafts, like make necklaces or do some scrap booking. Now is the perfect time to go visit one of the most important people in your family. The grandparents will be delighted to see their grandchildren again. They might have babysitted your special child when he was younger, and this week is the best time to catch up. Bring some food so you can eat together as an extended family. Or your kids might want to sleep over with their grandparents, then you can have “alone-time” as a couple. You can ask your kid’s cousins or friends in your home for a sleep over and make them some popcorn while they watch movies or do some artwork. This is the time for them to catch up on the activities that they enjoy together. Kids also like to tell stories about their experiences in school or with their other friends, so making them bond overnight would make them enjoy time together. 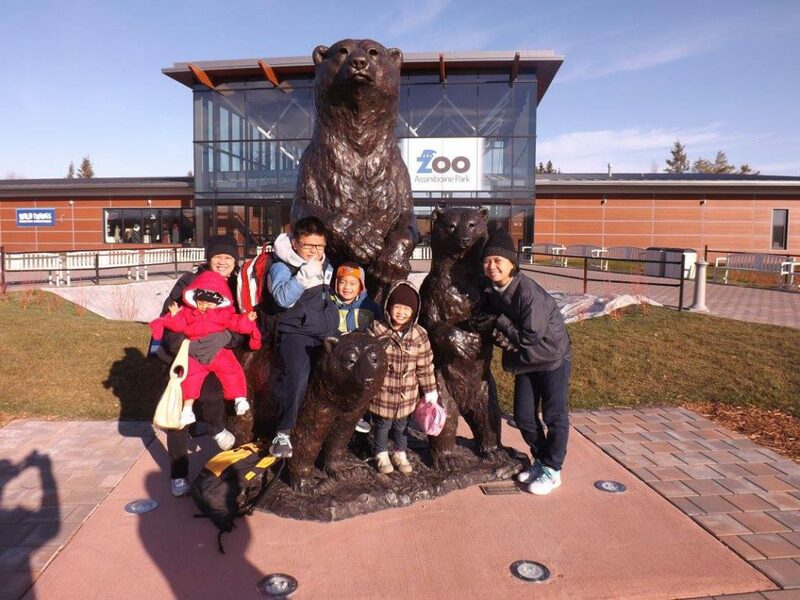 This free week maybe the best time to re-visit the zoo or the museum if these have been your activities during the summer. I’m sure there will be lots of new displays in the museum or new animals in the zoo if you haven’t been there for a while. This is a great time for your kids especially your child with special needs to learn something new or to apply what he has learned in school. There is still snow outside and the park may still by muddy and have lots of puddles, so it will not be fun going to the outdoor playground. So to pump the kids’ energy, why not go to an indoor amusement park and let the kids run around, or let them go up and down the slides and other play structures. Bring their cousins or their friends along and while they are having fun, you can maybe go shopping if the park allows them to be left on their own or you can stay in their waiting area and read a book ( if you’re alone ) or you can chat and catch up with your grown up cousins or friends ( parents of your kid’s friends ). After their play, I’m sure they are tired and hungry, so go to a restaurant where you can all grab a pizza or anything that the kids love to eat, like hamburgers. This brings you all to the next activity. I think this is the best activity that everybody looks forward to. Of course this could be the final activity of the day if you have done an earlier activity, like playing in an indoor park or having gone swimming or watching a movie. Whatever you have done earlier in the day, I’m sure everyone is tired and hungry, so a pizza or a hamburger or a pasta or even a full meal is very much welcome. Just enjoy and have fun! You don’t have to do everything listed above because your budget will burst and there’s only a week to choose the best activity for the whole family. Especially if you will still be working during this time. But of course, if you plan ahead, you can still do free activities like go to the library and borrow books and DVDs, go to the public pool on free days, etcetera. Kids grow fast, so while they are still young and willing to go with you to fun places, grab these free days and just enjoy! Before you know it, school days are starting again and next year, they maybe older and have their own set of friends and not willing to go anywhere with you anymore. 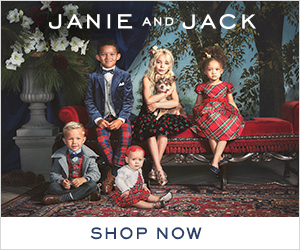 We have an advertising relationship with the stores we link in this post. Let your special kid sit in this squeezy canoe while reading to let him focus more. Which activities do your kids enjoy with your family? Is there a specific activity that your special child enjoy the most? Author MaritaPosted on March 13, 2019 March 25, 2019 Categories Family42 Comments on How To Enjoy Spring Break… Ten Activities Which Will Get Everyone Excited! 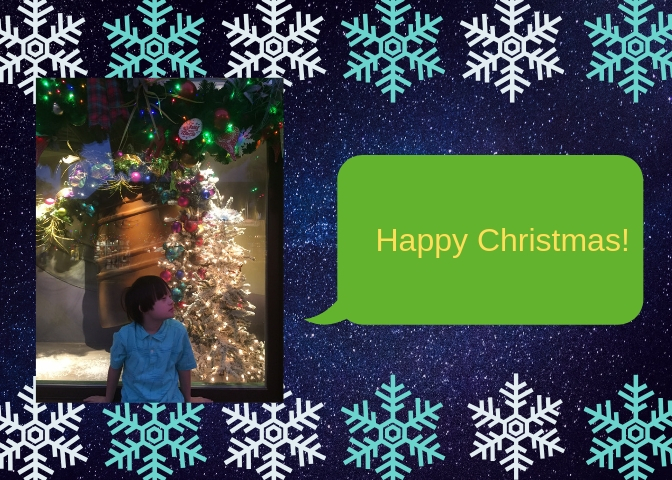 Author MaritaPosted on February 14, 2019 February 21, 2019 Categories Family, Special children29 Comments on Big sister, little brother…..he has Down syndrome and autism! Like normal kids, our children with special needs love to have fun. Hearing their giggles and laughter uplifts us- parents, caregivers, and even their teachers. Playing, aside from giving them fun, promotes the enhancement of social skills and development of their imagination and creativity, as well as improvement of their fine and gross motor skills. 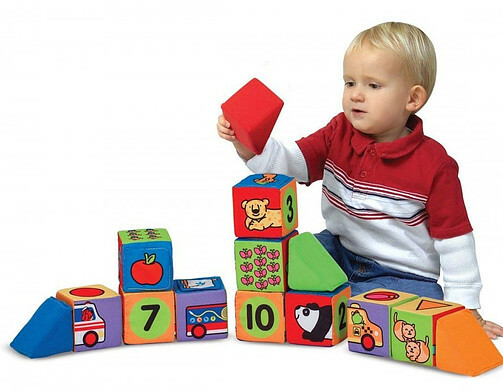 More so, learning the basic concepts like colors, shapes and numbers would be benefits from the right toys. 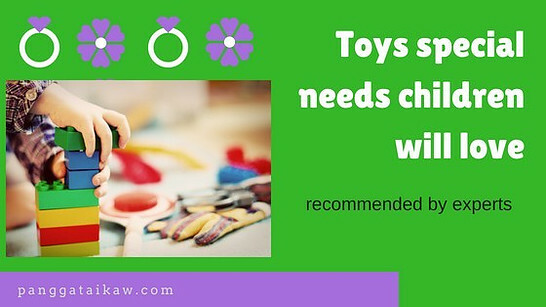 Choosing the best toys special needs children will love and recommended by therapists, should be top in our minds-parents, caregivers, and teachers, when we plan to buy them for our kids. I recently read a post from a behavior analyst who said that her daily life consists of treating children with autism spectrum disorders and when she gets home, she implements similar practices with her own children. She uses the same toys for the same reasons. She believes that all kids want to have fun while they are learning. Thus, parents need to find developmentally appropriate toys for their kids, whether special or not, to create opportunities for learning while playing. For our special kids though, because they have delayed mental development, we have to choose toys which are recommended below their chronological age. We have to consider their mental development. For example, a 10-year-old child with Down syndrome with a mental age of 4-5 years, would enjoy playing a toy for a 5-year old, because a toy for a 10-year-old might be too advanced for him. Toys about numbers for a 5-year old would be identification only of the numbers, or simple counting, but toys for a 10-year-old would be involved with addition, subtraction, or easy multiplication and division. These blocks are washable, soft and lightweight, thus ideal for babies, toddlers and older kids with special needs, for easy manipulation and lifting. Kids will learn to identify numbers, animals, and shapes. Skills that they develop include sensory, fine motor, logical, creative, linguistic, communication, and self-esteem. Our special kids need big puzzles which are extra thick and with large knobs for easier grip. These puzzles enhance their imagination and creativity. Because of delayed mental development, our special kids need to play with simple puzzles so their minds can solve easy problems of identifying shapes and images. Playing with puzzles also develop their fine motor skills, socialization and hand-eye coordination. For kids with autism, toys that promote interaction like this laptop, that encourages a verbal reply when they push a button, are suitable. Various categories include letters, numbers, farm animals and musical instruments. The games within also enhances imagination, creativity and develops intelligence. 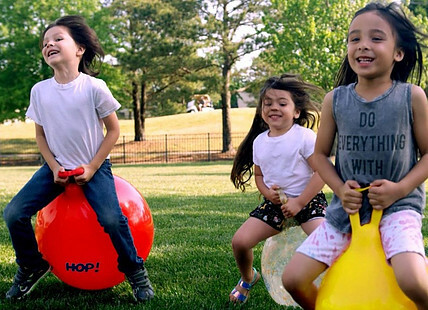 Children with emotional and behavioral disorders like ADHD, need to balance fun and calm their anxiety while playing or just sitting down, maybe in a doctor’s office waiting impatiently for his turn. Usually, they thrive on holding on to something familiar to them like a favorite toy or a calming thing like a pillow. These soft, flexible rings and rubber spikes reduce stress and anxiety by providing tactile stimulation to calm a racing mind and to bring restless hands busy with something, while doing writing in school or at home. If your kids have short attention span, these bracelets sensory toys bring focus, attention and relaxation, so they are more attentive in school or even at home while doing homework. This wrap gets your special child to pretend to be little T-rex roaming around the house. It is perfect for play, pretend, movement, compression and sensory integration. Adults need to supervise the kid to dress up and tuck their hands into the sewn in pockets to wrap themselves snugly inside the stretchy cape. It helps tactile defensive kids and sensory seekers. Attention is sustained for a longer time because the kids enjoy pretend play a lot. They have tactile surfaces on each side for fidgeting and sensory exploration. Kids can trace their fingers over the raised circles on one side and feel the fine bristles on the other side. They could also be put on the floor where kids can tickle their feet with the bumps and the bristles. These hop balls are made of heavy-duty yet soft vinyl latex-free material for long-lasting use. Inflation by a hand or foot pump needs to be done by grown-ups. They are great for exercise indoors and outdoors on smooth surfaces. Our special kids will develop their body coordination, balance, and lymph circulation . They come with a hand grip safety handle. Your special child will enjoy and develop fine motor skills as he guides little red balls with a magnetic pole. It develops small muscles in the child’s hand to be able to hold the pencil properly for better writing skills. This is also a learning tool for numbers and counting. Hand-eye coordination is also developed as the child guides the balls. 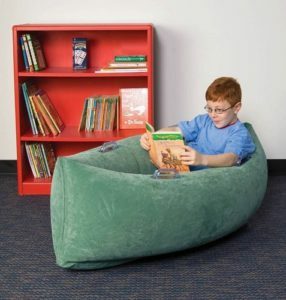 It is filled with a long lasting foam with heavy duty stitching, thus a safe place for special kids to calm down and relax by sitting or lying down. Children will enjoy crashing, jumping, exploring or cuddling, thus developing their gross motor skills and balance. Your presence in your special child’s activities will help him a lot to improve his social and cognitive skills. Deep trust in you will be developed as well, as you regularly play with your special child. Likewise, while playing with him, you are able to observe your child up close on how he interacts and how fast he is learning. Remember, playing is the best form of bonding for you and your kid. There are various benefits if your special child is allowed to play with you and others. As much as possible, expose your child to a playmate to promote engagement and interaction. Various studies recently have shown that interactive experiences actually change the physical structure of the brain. “We now have evidence from neuro-imaging studies (e.g., MRI, PET, and SPECT scans) that new neuro-pathways are created and connections among neurons are enhanced when the brain is stimulated,” explains Dr. Ron Savage, Executive Vice President of the North American Brain Injury Society and expert on neuro-developmental disabilities. Based on these studies, special needs products and toys are made to improve motor skills, mobility, sensory processing and communication skills. These specialized items can help children enhance their basic abilities while also soothing their anxiety and improving behavior. Play therefore, is the best stimulation for children, especially when children are enjoying their toys and games, and parents and caregivers are devoted to helping them learn. Studies have proven that loving relationships, meaningful toys, and time engaging in play together are the best ways to open avenues for our special kids to grow up and be the best that they can be. So my dear parents and caregivers, please choose wisely what toys your child with special needs will enjoy and learn from. It will be remarkable to witness the joy of your child while playing and in turn, his brain is stimulated to develop with added neurons for more wisdom. How do you choose toys for your special child? Do you observe that your kid learns while having fun? What is his favorite toy? We have an advertising relationship with the stores and businesses we link in this post. We'll earn a commission when you shop through our link or join the business with no added cost to you. Wanting to start your own website but no idea on how to do it? Join Wealthy Affiliate! Click the image below and find out how. Parenting a special child is a lifetime career. As a parent, you have most probably bonded with your child even before he was born. You have started to talk to him while he was in your tummy. You have planned the look of his nursery and you have marked where to place his crib and his closet. Maybe you have visualized his first birthday party, the theme and even the giveaways. But then on his delivery, you learn that your child is special, then you will be in shock and devastated. Especially if you were not ready emotionally of his arrival and you had no idea that he is “special,” at all. Or maybe, your baby is having awesome development on his first few months to his second year or 18 months and gradually declines or show signs of regression, it’s also very depressing. Sometimes, new moms feel ” guilty ” delivering a special child. It’s not your fault. Nobody wants her kid to have special needs. Nevertheless, he is your child, you waited for him for nine months, and he needs you. Always remember that he is an angel, a source of joy for your family. There will be challenges in taking care of him, but with the support of your family and relatives, you will be okay. We know that parenting a special child involves a lot of struggles, but just be open and offer him unconditional love and surviving the challenges will come naturally. After all, a mother’s love is all it takes to nurture your special kid. He was given to you because you have the capacity to take care of him, to love him, and to help him develop to his fullest potential. Celebrate the birth of your son or daughter, including his or her inadequacies. Don’t focus on his disability. Be happy with his milestones, even though they are slow. Here are some tips on parenting a special child, your child, and in the end, surviving the challenges. Remember you are an awesome mom or dad, and you are the primary caregiver of your baby. You owe him your care and concern and your whole self. If you are the mom, be proud that you have carried this baby yourself. You have nurtured him even before he was born, so just continue to be there for him, no matter what. If you are the dad, pour out your love to your kid and be hands on in taking care of him. Support your wife and take turns in taking care of your special child. He needs you more than ever. Ask your doctor and therapists if you have questions or doubts. Read books or journals about your child. The more you know about his condition, the more you will understand how he behaves. Connect with other parents who have the same child as yours. Share information with one another. Join social media groups if you can. Involve yourself as much as possible in his activities especially in his playtime. Find time to include playing and reading with your child as part of your daily schedule, even for just half an hour. The longer, the better. Daily time with him is really important for your child to develop deep trust in you. He will feel that he is important and that you really care for him. You will have firsthand observation on his progress. Playtime and reading are some of the greatest bonding activities that you will have with him. You will share with his fun and joy as he learns to explore things. A family’s support makes caring for your special child easier. Make regular dates with your partner. Continue to attend family gatherings. Share with your family the progress and milestones of your child. Communicate regularly with your family, especially with your spouse, parents and siblings. They could always support you emotionally as well as help you with baby-sitting from time to time. Schedule playtime for your child with his cousins, to develop rapport and acceptance. Have lots of sleep and rest. Eat nutritious food. You need to be healthy and not get sick. Exercise regularly. Daily walks will enable you to have time to think and recharge. Go out and find time to relax with your friends and other adult members of your family. Be proud that you are able to take care of your special child. Don’t dwell on self-pity. Know that there are lots of parents and families out there who are in the same boat as you are. Learning from other parents will help you how to be always ready for your kid if problems arise. Knowing that you’re not the only one having struggles will make your load light. Schedule playtime with other kids with the same special needs as your child. Celebrate milestones of your kids with other parents. Attend meetings and consultations when the teacher and therapist schedule them. Be open to their suggestions. Ask questions and follow up the progress of your child. Suggest to his teacher and therapist if you think something needs to be done or addressed with about your kid’s behavior. After all, you are always with him and you are able to observe him close enough and somehow, you know how he copes up with challenges. When your child arrives from school, look at his backpack for homework and help him do it. Acknowledge the support that his teacher and therapist gives him. Keep a record of his milestones and progress in his baby book. 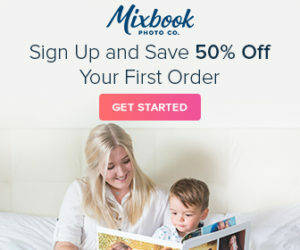 Capture his first walk, first word, etc in pictures or videos. Share his progress with your friends and family. Reward him with a toy or food for something that he has accomplished, like toilet training or being able to write the alphabet or his name. Let him join the class concert or program and be there for him. Inquire from your child’s doctor and therapist about any problem or struggle that arises and seek advise on how to deal with it. Support from family, even from grandparents are really important. Babysitting , turns in caring if child is sick or in the hospital, or company for you to the doctor or therapist visits are all important. There is always help and support if you feel overwhelmed. I’m sure even neighbors and friends can pitch in help if you ask them. Parenting a child with special needs maybe overwhelming and tiring, but seeking the help of others, accepting your child as he is, focusing on his strengths, milestones and progress and taking care of yourself are all very important so you can thrive and your child likewise will develop to his fullest potential. 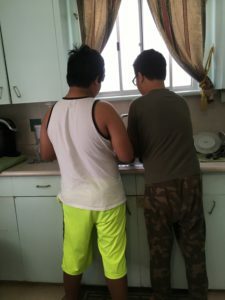 Being a parent of a child with special needs is indeed very challenging but your rewards will come from your kid himself when he shows you his progress, even though they are slow. When he calls you ” Mom,” or ” Dad, ” for the first time at 3-5 years old, then you will jump with joy. You know that from there, everything will just fall into place. You are capable of becoming the best mom or the best dad to your child with special needs and be proud of that. After all, caring for your child, loving him for what he is and celebrating his milestones will always bring immense joy in you and your whole family. As a parent, how do you take care of your special child? How do you bond with him or her? Do you find time for yourself and ask help from other family members as well? Please share your experiences with us. We have an advertising relationship with the stores  or businesses we link in this post. We'll earn a commission when you shop through our link with no added cost to you. You are able to help special children, as well in Romblon, Philippines. Would you like to turn your passion into a business? 50% Off Halloween at Gymboree . Let Wealthy Affiliate help you. 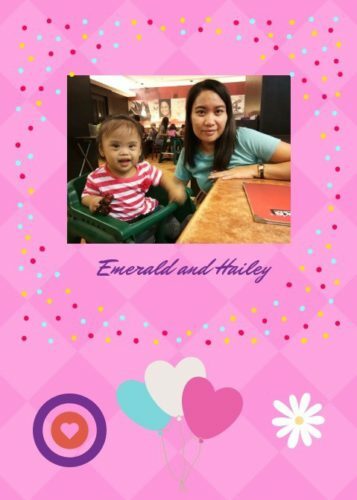 Join us and let me help you, as well..
How to prepare for camping with a special child- summer escapade galore!! Now that school is almost over and summer has begun, what better way to relax but to go camping! Plan and prepare what to bring so nothing is missed and everybody can enjoy and have fun. But wait, can you bring your special child with the whole family? Of course, he may have special needs but he has the right to enjoy and spend time with everybody. This will be a special bonding time for everyone – to relax, unwind, breathe some fresh air and enjoy nature. Let’s go and delve on how to prepare for camping with a special child in tow. I promise you, it will be a summer escapade galore! Months or weeks in advance, you need to plan where the family wants to go and reserve or book the place. I assume you did this already. Did you book a cabin or a tent area? Or are you bringing your camper? Either way, all three are fun places to stay. Is your site somewhere close, like half an hour ride or maybe up to 2 hours is good. But some families love to go long driving, like a 3-4 hour or more travel, which might be uncomfortable though for the kids, especially your special one. You can actually make a long trip comfy by breaking it into shorter trips. How do you do that? Rest in between, like after an hour or two, look for a park with a picnic table or a grocery store with some benches outside where you can rest or maybe eat your snacks or lunch. Even a 30-45 minute rest would give everyone a space to relax and a time to stretch and fill the hungry tummy. Then, off you go again for another ride. Make sure that you let Dad or whoever is driving know that you need to stop every after 1-2 hours of driving to recharge. Planning is key to success, comfort, and fun in camping. 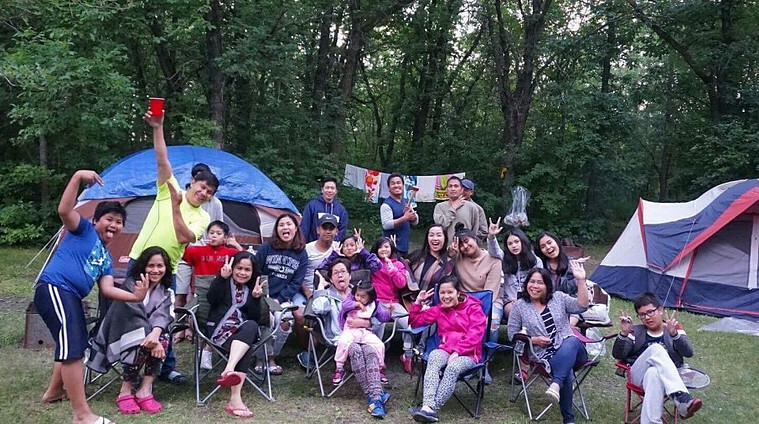 If you are camping with your extended family or friends, like what we do all the time, for sure there maybe a minimum of 4-5 families or around 16-25 people. For a big group like this, it will be surely fun and the most important thing is to decide how you will prepare your meals. For our group, we usually assign which family prepares this or that meal, so we prepare and cook only once or twice for that weekend get away. On the first day though, that is on check in day, each family brings packed lunch or dinner, so we don’t worry what to eat when we get to the site and we can focus on pitching our tents or preparing for the first night. That said, you know what food and cooking utensils to bring when you have planned your menu for your assigned day and specific meal. For example, you don’t need to bring eggs when you are assigned to prepare dinner on a Saturday. 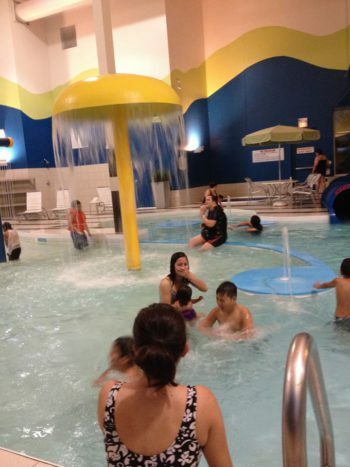 Swimming is an all-time favorite activity for kids including your special one. When booking for a camp, always look if the site has a swimming pool or a suitable lake. Be sure to be with your kids at all times during these activities for safety reasons. Outdoor games like badminton, frisbee or parlor games would be fun as well for the whole family. Be sure to bring those rackets and shuttlecocks, frisbee flying disks and materials for parlor games like sacks, big hankies, empty bottles, etc. It is best to make a list of what to bring so you will not forget anything or at least you will be able to bring the most essential things that you need. I remember in one of our tent campings, my husband forgot to bring our sleeping bags, it’s good that my brother’s family were in their camper with heating, so they let us use their sleeping bags. Tent- make sure that what you have from years before is still usable and clean, otherwise, you have to buy again. Does it fit everybody or do you need an additional tent if everybody will not be accommodated? If you want to purchase new one, you can buy at AMAZON by clicking here. Sleeping bag – it is usually cold late at night and early morning, so this is really important; suitable for one to 3 -persons depending on the number of family members; lots of choices at AMAZON. Weighted blanket- if you have one, bring it! What do you do during camping? When you have small kids and a special child with you, fun activities need to be planned so they don’t get bored. Activities that kids enjoy are swimming, outdoor sports like biking, ball games, badminton, etc. Hiking could also be fun if your special child can walk by himself. Let him stroll at the start then maybe carry him later in your back if he gets tired. Then plan to go back to your tent at this point, otherwise your back will get sore carrying him for a very long walk. As you progress with your hike, show your special child the plants, flowers, trees, or animals around you and this could be an educational experience for him as well. Campfire and barbecuing or grilling hot dogs and marshmallows are things that they also love. This is a special time for families and friends to bond by sharing experiences or jokes around a campfire, or sharing music by singing in a guitar accompaniment, if your family is musically-inclined. If possible, tell your kids to limit the use of social media ( phones, laptops, DVDs, etc ) and instead encourage them to play active games and interact with family especially siblings and cousins their age. Be sure to ask your older kids to help you out with folding the tent and keeping all the things that you need to bring home. Make your trip back home fun by playing music and singing while traveling. If you think your special child cannot handle the noise, put on him an earphone. You can also play games in your car, like the ” I spy ” game where you take turns in saying something that you see around, for example, a red flower, and let the other family members guess where it is. When you are already close to where you live, you can eat out in a restaurant so you don’t have to prepare another meal at home because by then you will be very tired. Then, putting away stuff is another hurdle to do. Try to keep all things in their proper places so when you need them again in your next camping trip, you know where to look for them. Inspect all your stuff and clothing to make sure that you don’t have ticks with you. Remember, that weekend with your family including your special one is a precious event. He will always cherish those times with you. Keep memories alive through pictures and videos. Lastly, if possible, allot a day for rest and to put all stuff in proper places before you go back to work , so productivity in your workplace is not affected. Do you and your family love camping? 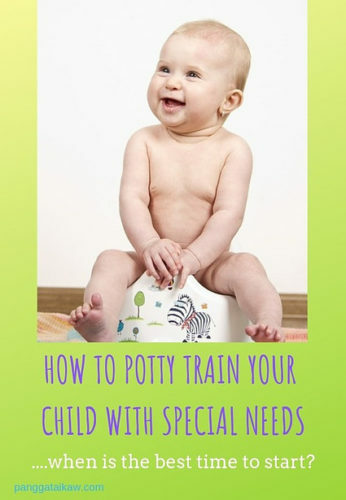 Do you always bring your child with special needs? Not that hard, right? Please share your experiences with us. We have an advertising relationship with the stores we link in this post. When you buy, you help special kids in our town in the Philippines through Special Education. There is no added cost to you. 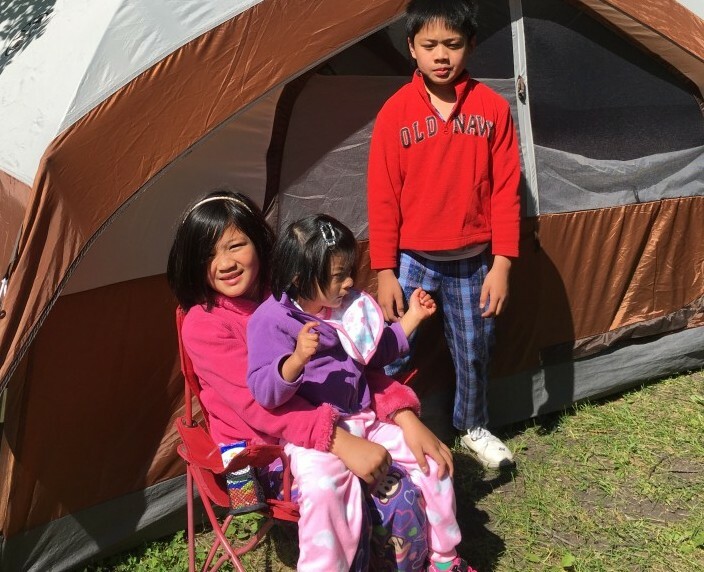 Author MaritaPosted on June 26, 2018 September 11, 2018 Categories Blogs, Family, Special kidsTags Camping, summer escapade4 Comments on How to prepare for camping with a special child- summer escapade galore!! Kids will be kids. 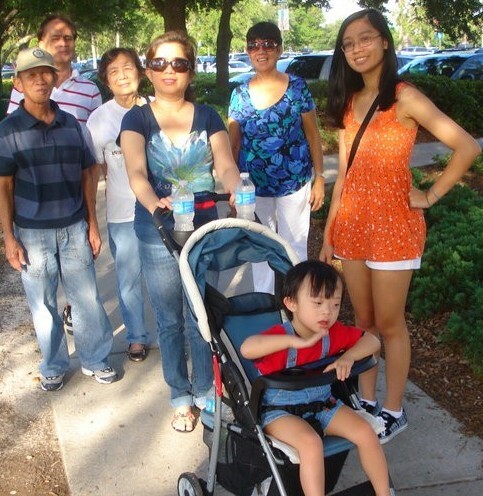 They enjoy time with their parents and caregivers. They will always feel safe when they are around with their beloved mom and dad, grandparent, aunt or uncle, or their nanny. What a better way to spend time together with your special child than reading to them. Exploring books together with your special kid is one of the best form of parental-child bonding, maybe second to playing with them. What are the benefits of reading to your special child? Even if your special child has delayed mental development, he will still enjoy sitting down with you or lying down in the bed with you. He will always tend to snuggle or hug you while listening to your story-telling. A strong bond is developed between you and your special child. Your child will have a sense of security when he is there in the bed or chair with you. You are both able to explore the world, your town, province or country. He gradually forms a deep trust in you. He learns to appreciate that you are trying to help him improve or overcome his incapacities. Your special child will slowly increase his vocabulary. He gradually improves his language skills. His mental capability will be boosted. You are opening your child’s awareness to his surroundings, thus he learns coping skills. You are helping your child’s teacher in a way because your kid will be more receptive with lessons in school. Reading will develop your child’s imagination and creativity. He will learn to relax and quiet his mind during reading sessions with you. We learn easily when we do things again and again. Your child with special needs will truly benefit from you when you make reading to him a habit. Rather than make your child watch nursery rhymes on television or you tube day after day, develop the habit of reading to him instead at bedtime or just anytime that you feel he is receptive to listen to your storytellling. Making reading to him a daily thing will surely increase his trust in you and he will always look forward to that special time together. Gradually, you are increasing his vocabulary and his understanding of his environment. This special time will also make you feel that you are giving him a special part of you. Act out and speak out like the characters in the book that you are reading. If you are reading a dialogue for an old lady, let your voice be slow and quivering. If you are reading a man’s dialogue, speak in a deep tone. You can even mimick some animals’ sounds. Surely your child will giggle and enjoy hearing your story. He will always look forward to reading with you everyday. You yourself will feel very happy and at peace after these sessions. Your child’s laughter will wash away all the worries or stresses that you maybe experiencing at that moment. During homework time, start by reading to your child a good story book. This will develop his enthusiasm in doing his assignment. Answering questions or completing his tasks that his teacher sent home will be a breeze if his brain is programmed to respond positively. Encourage him to answer his homework by himself. Let him ask you questions as well or let him know that you can help him if he cannot answer the questions. Guide him if you can, instead of giving him all the answers. This way, you are encouraging him to think and decide for himself what is the best answer. His teacher will be very appreciative learning that you are there to help her encourage your child to learn each day. To increase your special child’s vocabulary and develop his language skills, try to read a variety of topics from animals, cartoon characters, plants, school, home, family, food, etc. After reading, talk about the story that you just read. Encourage him to ask questions to you as well. This will also gauge if he understood the topic or not. An inquisitive mind is open to more learning. Here are some awesome books for your special one. A special child will have limited attention span, so plan to read short stories. Their intellectual capacities are also restricted, so they lose interest easily. You might need to speak very slowly too, so he can understand every word and appreciate the story. Don’t be upset when your child doesn’t decipher everything that you read to him. Keep in mind that he has delayed mental capabilities, so his brain is slow to digest. Just appreciate that he enjoys time with you and he is learning slowly. A trip to the library on a weekend or right after school on a certain day is something that you can develop with your special child. This will teach him the value of reading regularly. Likewise, he will be exposed to different books and topics. Let him choose what he wants you to read to him. This way, you will encourage him to explore. Start with small books or short stories. Picture books are awesome for small kids to begin with. Reading to your newborn or a few months old special baby can certainly give benefits both to you and him. You will develop a special bond right away aside from his feeding schedules. His brain will be exposed very early to this stimulating activity and as he grows and develops, reading will aid in forming his language skills early on. Your voice will soothe him to let him sleep good at night. Developing that good habit of reading everyday will surely help him overcome his mental delay sooner because his brain will be rewired early. As your child grows older, he would be choosing his favorite topic, author, or book. All these because you have started to expose him early and he has developed that habit of reading ( or listening if he has not learned reading by himself ). I hope I have inspired you, dear mom and dad to start reading to your special child if you have not started. Wishing you and your child happy reading! Check out my favourite AMAZON picks for babies here. When did you start reading to your special child? Are you reading to him everyday? What is his favorite book about? Please share your story with us.